The Joint admission and matriculation board (JAMB ) announced date for 2018/2019 Unified Tertiary Matriculation Examination, UTME and sales of registration forms and also banned the use of wrist watches and pens during the conduct of its 2018/2019 UTME CBT test. The JAMB 2018/2019 registration form will cost N5000. The registrar announced that registration for the exams would commence before the end of November, urging prospective candidates to visit the board’s website, download JAMB app, syllabus and brochures. All Prospective Candidates are expected to study the 2018/2019 ebrochure before registration. Below is a list of JAMB 2018/2019 registration process which all candidates must undergo. The dates for the mock examination for interested candidates would be running from January 22 to 27 2018. The 2018 UTME exams hold from March 9 to 17 2018. 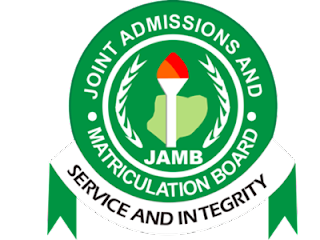 Joint Admissions and Matriculation Board (JAMB) Registrar, Professor Ishaq Oloyede, has assured that the conduct of the 2019/2020 examination will be better. Oloyede said the board would henceforth install electric jammers and lens detectors at every CBT to neutralise gadgets candidates may have sneaked into the hall.